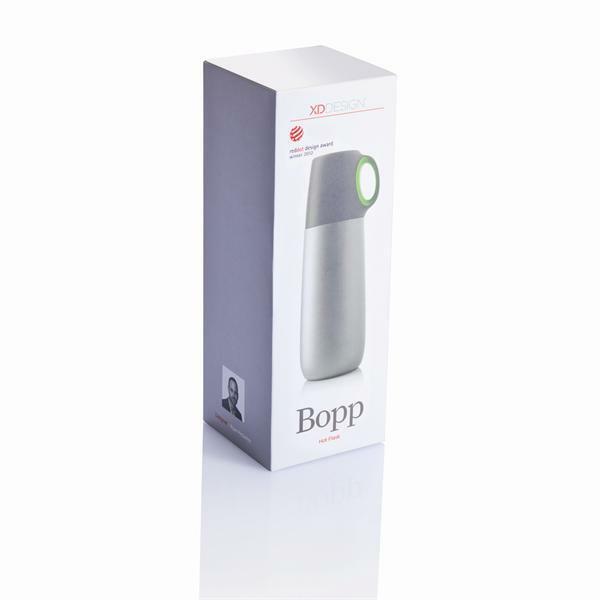 Bopp Hot is a 600ml double wall flask with matt finish body by XD Design. 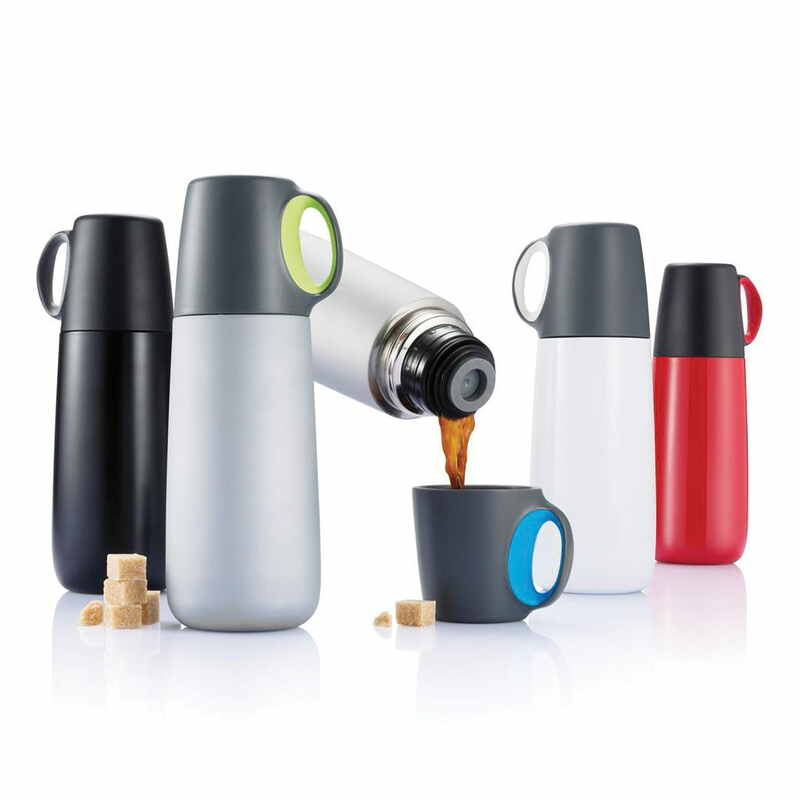 Push closure and cup with handle in contrasting finish make Bopp ideal for the trendy coffee drinker. 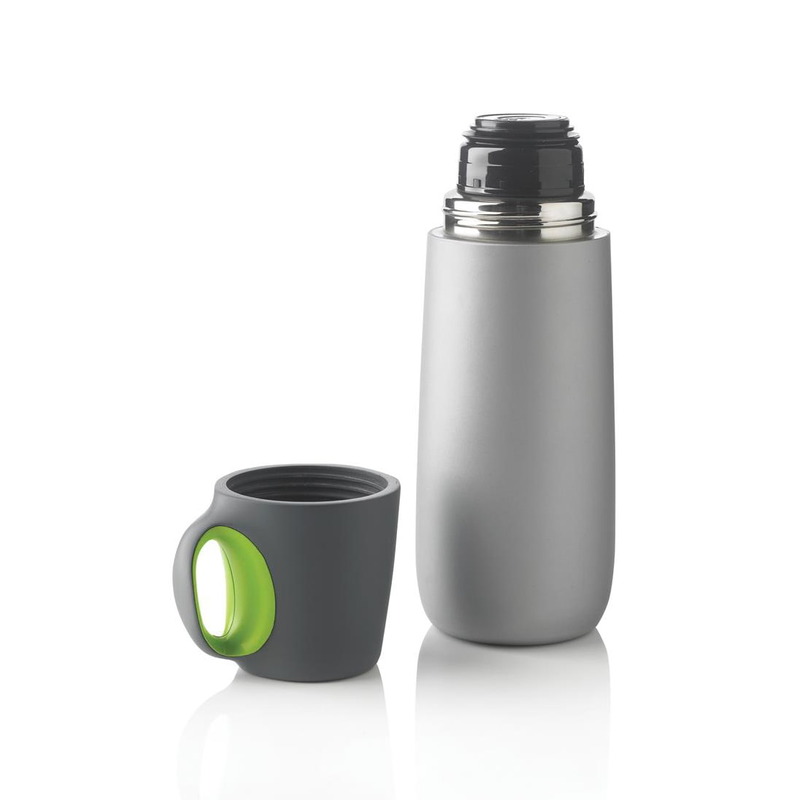 Outside and inside in stainless steel with vacuum insulation in between. 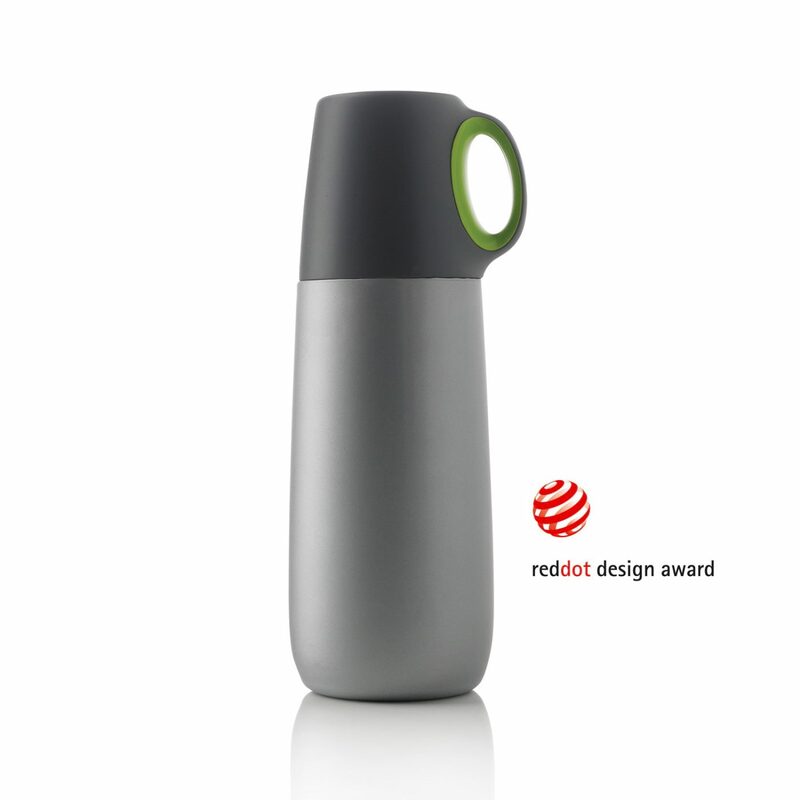 Material: Stainless steel with vacuum insulation in matt finish. Dimensions: H 25 x ø 8 cm.